In the area around Mussidan there are a number of small villages which do not individually take long to see but as a group make an attractive detour if you are in the area. The countryside in the area is very wooded with the forests of the Double and the forests of Landais, both with lots of oaks, chestnuts and beech trees, surrounding the valley of the Isle river. Sourzac is about 4km to the east of Mussidan. Sourzac sits on the edge of the River Isle. At Sourzac there is a spring coming from a grotto and the water cascades down the rock leaving deposits of calcium. 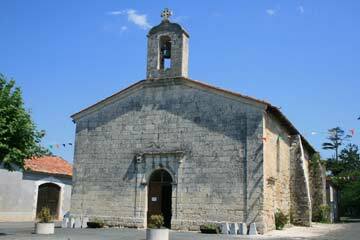 This has gradually formed a large rock, on which now sits the church of Sourzac. An abbey was also built on the rock. The church and abbey were destroyed and another church built in the 15th century. Lying below the church is the small village and also an attractive iron bridge over the river Isle from where you can get an excellent view of the church. 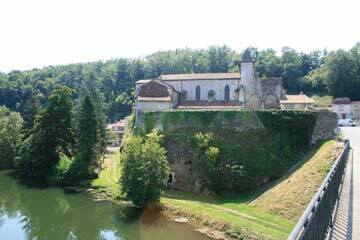 St Louis en L'Isle is 5km north-east of Mussidan and is a sleepy bastide on the confluent between the Bearonne and the Isle rivers. St Front de Pradoux is 3km north of Mussidan and is worth visiting in order to see its splendid presbytery. 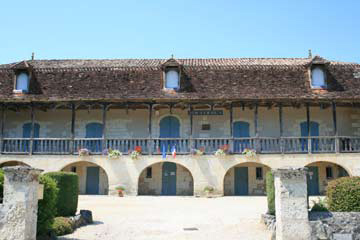 The presbytery is a classified Historic Monument and is now home to the Maire of St Front de Pradoux. St Laurent des Hommes is 12km from Mussidan. 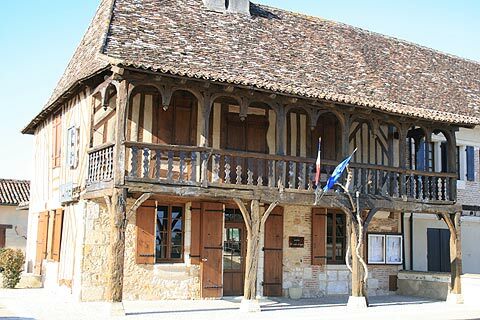 A bit further away than the other villages mentioned but it does have a mairie in a pretty half-timbered building with a really lovely wooden veranda at the front. Opposite is an attractive 15th century Gothic church. 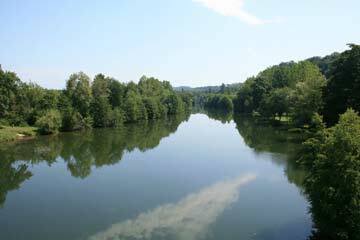 The River Isle is an attractive wide river as it crosses this part of the Dordogne area.